You can hit a corpse, yell, scream, say all kinds of hurtful mean things, give the silent treatment, get mad and stay mad, but it will not affect the corpse at all. In the same way, we are now dead to sin. Sin has no hold on us at all because of Jesus. We are now righteous, right because of Jesus. Zero tolerance to the habits and sinful patterns of the flesh. Wow! Zero tolerance! 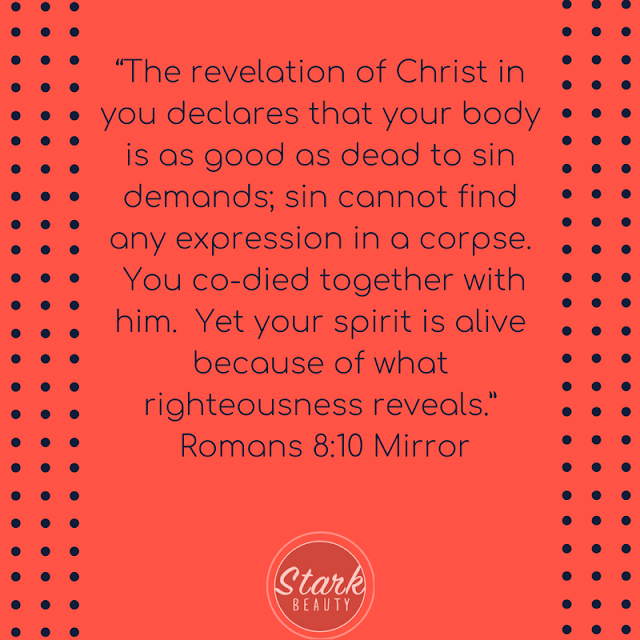 Habits and patterns might seem hard to break or change, but Christ in us declares that we are dead to sin. Our lives are inspired by the Spirit! Continuing to live under the sinful influences of our senses, is not an option and we do have the ability to say no! Thank you, Jesus! We have the victory over sin! It no longer rules us! Our spirits are alive in Christ!